Argos is the largest general goods retailer in the United Kingdom with 840 stores. Everything from Home, Garden, Sports/Leisure, Jewellery, Home Entertainment, Computers & Toys can be purchased from Argos. With over 50,000 fantastic products to choose from, let them choose their perfect present. 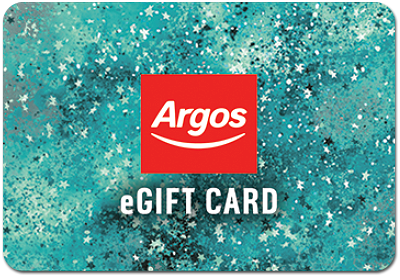 Whether you are saying thank you or well done, an Argos Collection Code lets the recipients choose from thousands of products.